Our monthly Third Saturday Ride is this Saturday, October 18th. Meet up at the Oakland Plantation National Park in Bermuda at 7:30am and we will ride at 8:00am. We have a 14 mile and 21 mile loop but you can turn back any time you like. Also, join us for our monthly Bike Natchitoches Meeting on October 21st at 5:30pm at the Art Center located at 716 Second Street in Natchitoches. 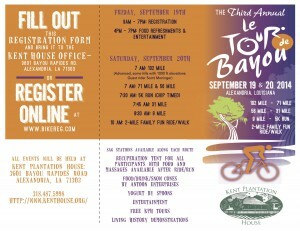 Join Bike Natchitoches for our first Saturday ride tomorrow, October 4th. Meet at 8:00 AM at the Fish Hatchery parking lot to ride at 8:30. All skill levels welcome. Our 3rd saturday ride is this Saturday, August 16th. Meet up at the Oakland Plantation National Park in Bermuda at 8:00am and we will ride at 8:30am. All skill levels are welcome. Also, join us for our monthly Bike Natchitoches Meeting on August 19th at 5:30pm at the Art Center located at 716 Second Street in Natchitoches. Please note, we will not have a meeting this month. Our monthly Third Saturday Ride is this Saturday, July 19th. Meet up at the Oakland Plantation National Park in Bermuda at 8:00am and we will ride at 8:30am. We have a 14 mile and 21 mile loop but you can turn back any time you like. See you there. Our monthly Third Saturday Ride is this Saturday, June 21st. Meet up at the Oakland Plantation National Park in Bermuda at 8:00am and we will ride at 8:30am. We have a 14 mile and 21 mile loop but you can turn back any time you like. See you there. Our next Bike Natchitoches meeting will be held on June 17th at 5:30pm at the Art Center located at 716 Second Street in Natchitoches. 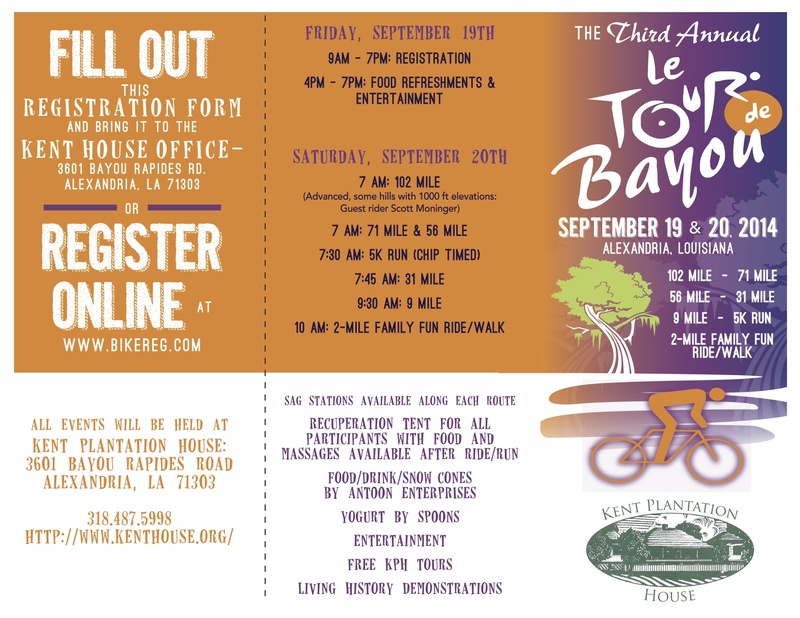 We would like to welcome Bike and Build to the Natchitoches area. Bike and Build is a group who raise money via sponsorships and spend the summer riding across America on bicycles to various locations where they assist with building affordable housing. While in Natchitoches they will be presenting a bike safety program in the parking lot of the First United Methodist Church parking lot Thursday, June 12th at 5:30 PM. The program is designed for kids ages 5 – 14, but all are welcome. Kids should be prepared to get wet. After the program there is a 1/2 mile group ride around the block. This fantastic opportunity is hosted by by the First United Methodist Church and Trinity Episcopal Church. 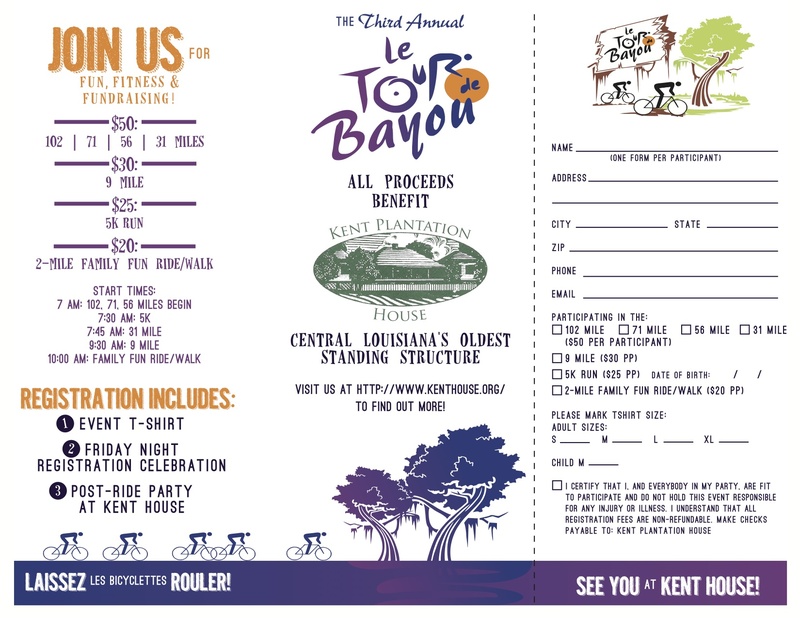 We’d love to show our support by having a great turnout amongst Bike Natchitoches families! 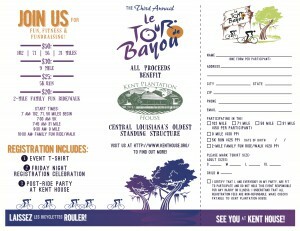 Join Bike Natchitoches this Saturday, June 7th, for our first Saturday ride. Meet at the Fish Hatchery Aquarium parking lot at 8:00am and we will ride from there. This month the Natchitoches National Fish Hatchery is hosting their annual Kids Fishing Derby and Open House from 8:00am to 10am. It is a free event that is open to the public. Two great reasons to meet up at the Fish Hatchery this Saturday.